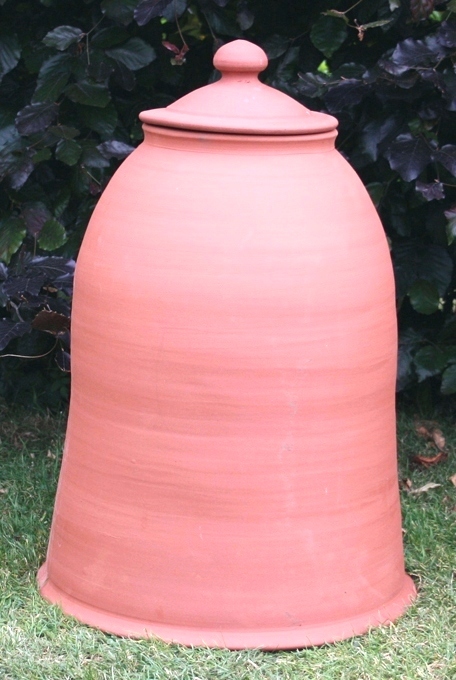 We are sad to announce that Chris Dunne, the maker of these beautiful pots has now retired. We do still have some left at our nursery and we will try and update this page as they sell out. 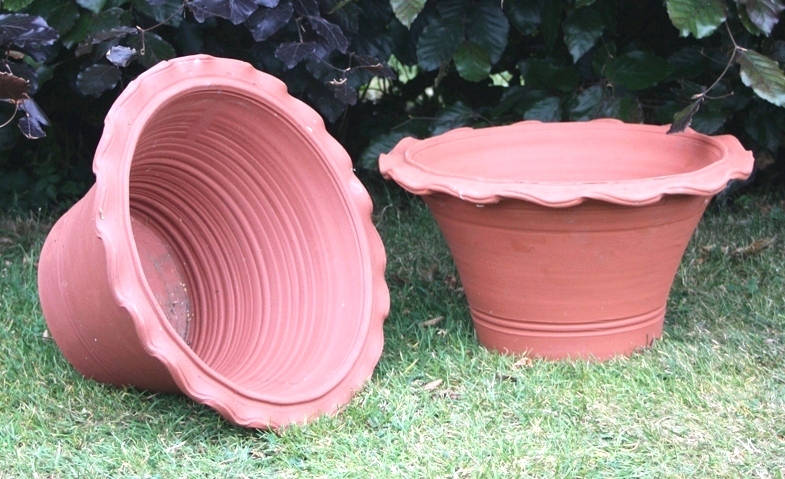 We advise telephoning prior to visiting to check stock. 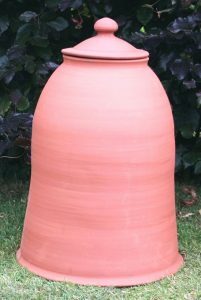 Thank you for everything Chris and we hope you enjoy your retirement! 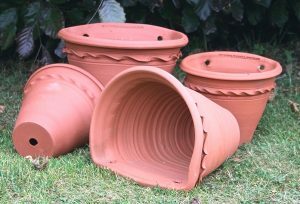 We are very lucky to be able to stock such a fabulous range of Terracotta. 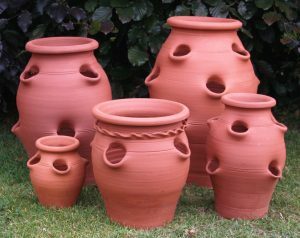 These are fired in England from English clay. Why is this so important? 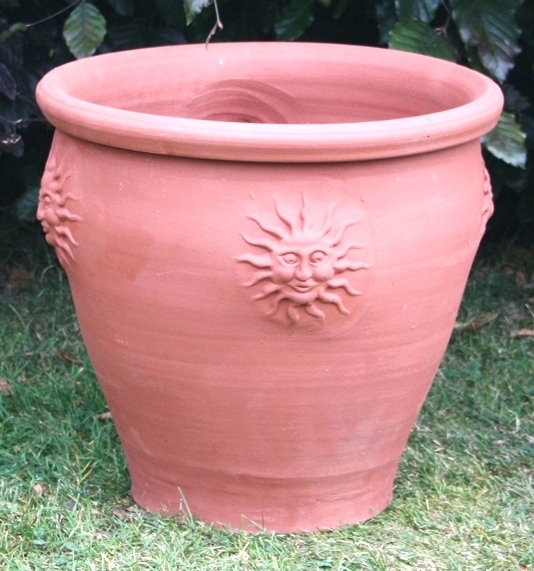 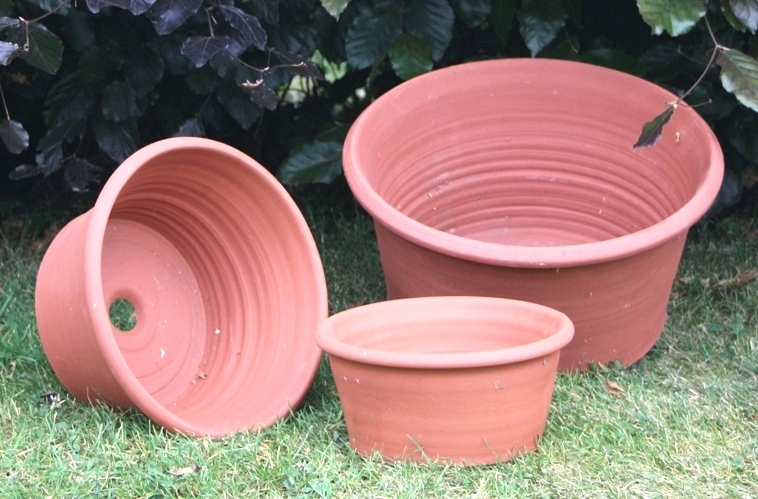 Much of the Terracotta available in the UK is made in countries where the climate is warmer. There is nothing wrong with this but if you wish to keep your terracotta outside in the winter, it needs to be fired for our winters! 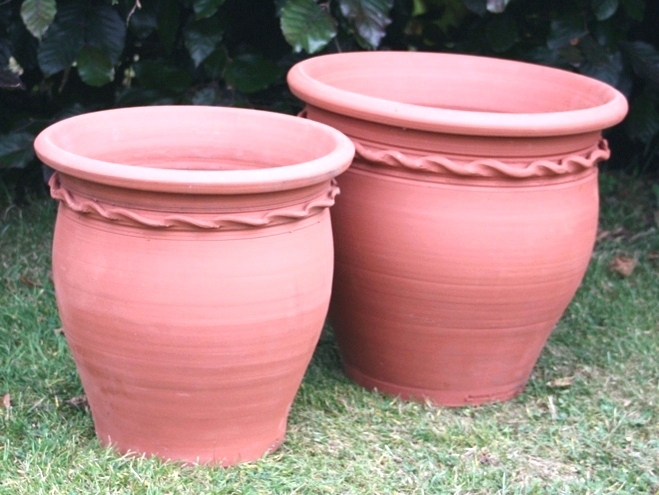 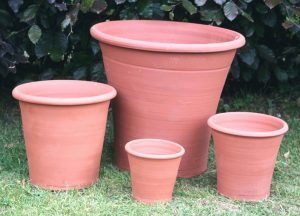 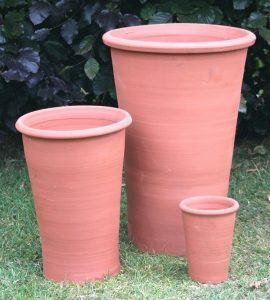 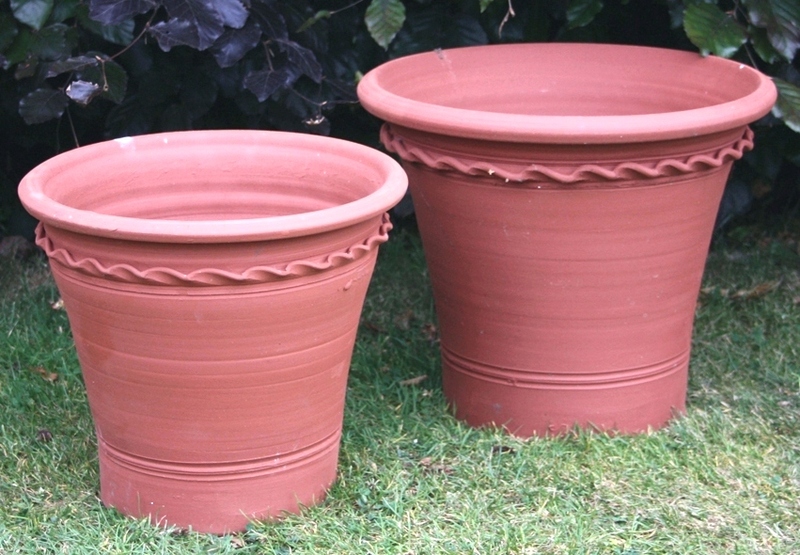 These pots are made by our cousin and are extremely strong and although natural porous terracotta can’t be 100% frost proof, they are the amongst the best you can buy.